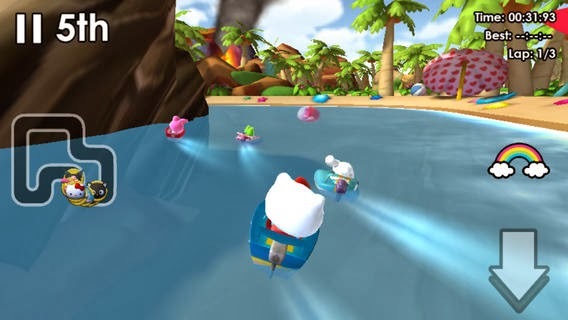 Join Hello Kitty and her Sanrio Friends as they race on land, in the air and over water. Drive, fly, and boat through new Hello Kitty tracks, such as Icicle Alley, Cosmic Way, and Island Paradise. Use power-ups to speed past your competitors or to slow them down so that you can catch up. Test your racing skills in the Adventure Races, such as Cupcake Hunt and Apple Run. Play as Hello Kitty, Keroppi, Badtz Maru, or Cinnamoroll, with more Sanrio Friends available for In App Purchase.